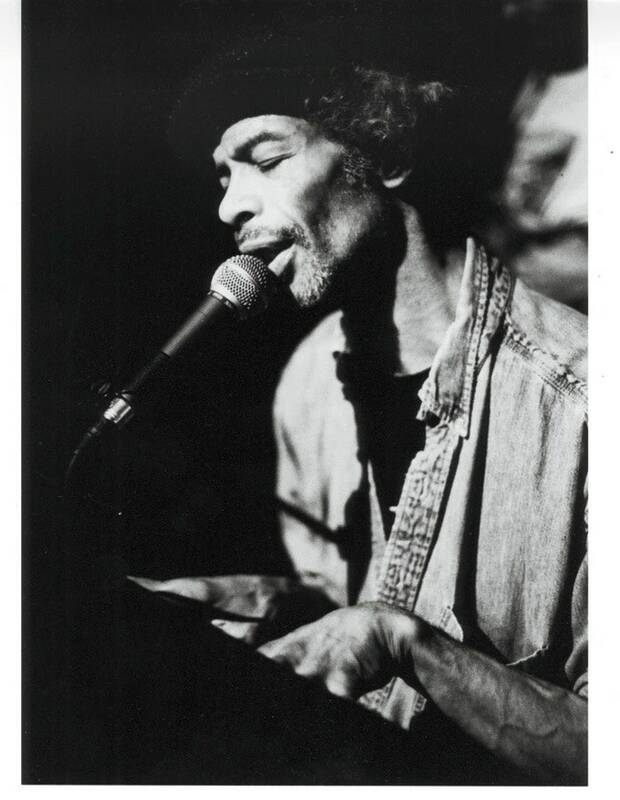 Gil Scott-Heron is frequently called the “godfather of rap,” which is an epithet he doesn’t really care for. In 1968, when he was nineteen, he wrote a satirical spoken-word piece called “The Revolution Will Not Be Televised.” It was released on a very small label in 1970 and was probably heard of more than heard, but it had a following. It is the species of classic that sounds as subversive and intelligent now as it did when it was new, even though some of the references—Spiro Agnew, Natalie Wood, Roy Wilkins, Hooterville—have become dated. By the time Scott-Heron was twenty-three, he had published two novels and a book of poems and recorded three albums, each of which prospered modestly, but “The Revolution Will Not Be Televised” made him famous.